Thursday, February 24, 8 PM Sound Structures Event, a performance event held in conjunction with the exhibition Andrew Bullbrook (Calder Quartett), Joel Kyack and Kathryn McCullough with Chiara Giovando play an adaptation of Christian Wolff's Piece for 1, 2 or 3 Players. Benning’s landscape works, with their meticulous, reverential compositions, have been located in the history of American realist painting and photography, and also belong to the tradition of American nature writing…The formal elegance of the compositions somehow becomes surreal over time, as we look into, instead of at, the place. This tendency locates Benning in the history of experimental filmmakers concerned with interrogating visual perception. Steve Turner Contemporary and Guest Curator Chiara Giovando are pleased to present Two Faces, a single channel video installation by James Benning. This is the world premier for Two Faces and marks the Benning’s recent transition from film to digital mediums as well as to his return to installation. The piece is comprised of two three second shots of 16mm film digitally transferred and extended to twelve and a half minutes each. 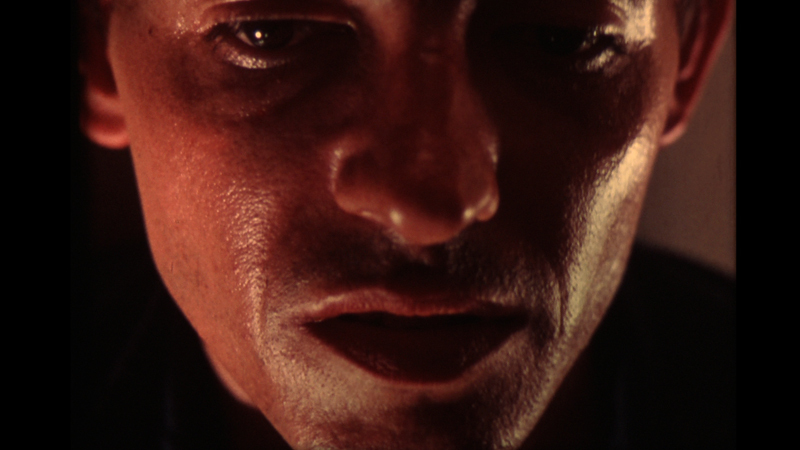 Taken from film Benning shot in 1974 the picture consists of a close up of a man's face caught in a moment somewhere between strain and collapse. Over the corse of the digital work a slow dulling of his eyes emerges. The woman's face reveals a tiny pursing of her lips, both images produce a disorienting subtle change that plays with conceptions surrounding stillness. Over the last forty years, Benning’s films have been acknowledged for their mastery of the static shot, for their mathematical precision, and for their compositional integrity. 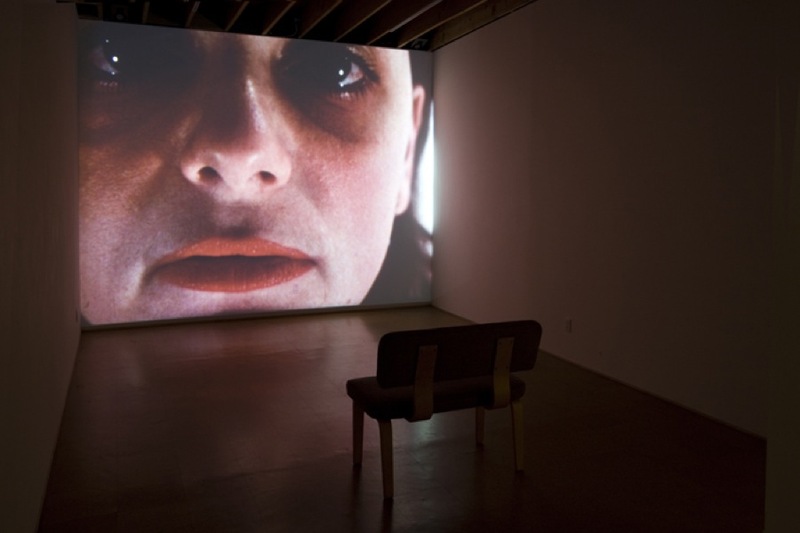 In re-photographing film onto video, Benning has deliberately utilized technical incompatibility to make distortion poetic. About James Benning Born in 1942 in Milwaukee, Benning began making films in 1970 after first studying mathematics at the University of Wisconsin. 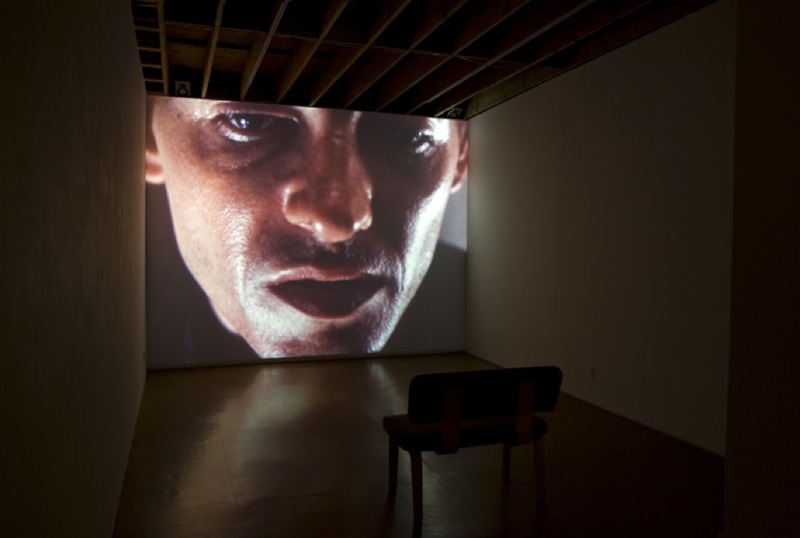 Until recently, Benning has worked primarily with 16mm film, producing, shooting and editing the films himself. His work has been presented at many international film festivals including Cannes, Hong Kong, Rotterdam and Sundance, as well as at museums including Centre Georges Pompidou, Harvard Film Archive, Pacific Film Archive, Tate Modern and the Walker Art Center. He has won two National Endowment for the Arts Awards, two Rockefeller Foundation Fellowships and a Guggenheim Foundation Fellowship. In 2007, he was the subject of a career retrospective at the Austrian Film Museum in Vienna. Benning lives in Los Angeles and has taught film and mathematics at CalArts since 1987. [E]arlier…I was doing political work at a grassroots level. It became very apparent to me that this was something I could exhaust my life with, and I hadn’t even begun to define who I was. So I stopped doing that kind of work, and I started making films to look at my own life. At first I thought I had to make really apolitical films… but I quickly realized that my aesthetics developed forms that were somewhat radical, and that’s political in itself. To make people look at a screen different[ly] I think is a really radical position to take…. And as l made more and more films I became much more interested in looking at different histories, and putting my life in a larger context and then politics came back into the films in a more direct way…. I still try not to be completely dogmatic with my politics, even though I think it’s quite evident that they’re fairly leftwing.